If you’re looking for affordable termite treatment in Milton, DE, Pro-Tec Pest Services is here to help! Our friendly and knowledgeable staff can help choose the best remedies for your needs and arrange for an appointment to your home or business at a time that’s convenient for you—all with just a phone call. In addition to Milton, DE we also serve all other towns in Sussex County, DE. Whether you live in the city or suburbs, Pro-Tec Pest Services can assist you in the treatment of unwanted termites in your home or business. If you have a commercial or residential termite treatment need in ZIP code area of 19968 or a surrounding area, we can send a certified technician to treat and help prevent further termite problems affordably and promptly. If your need for is an emergency termite treatment company, please feel free to call us at Pro-Tec Pest Services(302) 738-1036 for a quote for same day service. We’re available during normal business hours to answer all your questions. We also know that when it comes to termite problems in your home it is a top priority to treat them as quickly as possible to give you peace of mind in your home. Our professionals can handle any termite problem using the latest technology and equipment. Termite treatment requires a qualified and knowledgeable expert. If you own a home or business and have termite problems, you can rely on our experienced technicians. Termites are very dangerous to a house structure because of their destructive habits. Because of the large size of its colonies, and the termites’ ability to consume wood at a rapid rate, a house structure can be in serious danger. A single colony may contain several million individuals that forage up to 300 feet in soil. A mature colony can consume as much as 13 ounces of wood a day and severely damage a structure in as little as three months. Because of its population size and foraging range, the presence of a colony poses serious threats to nearby structures. Subterranean Termite workers construct small hollow moist mud tunnels so termites can gain access to the structure for feeding on the wood and transport it back to the underground colony. Tunnels and wood damage are the two signs found in almost every case. 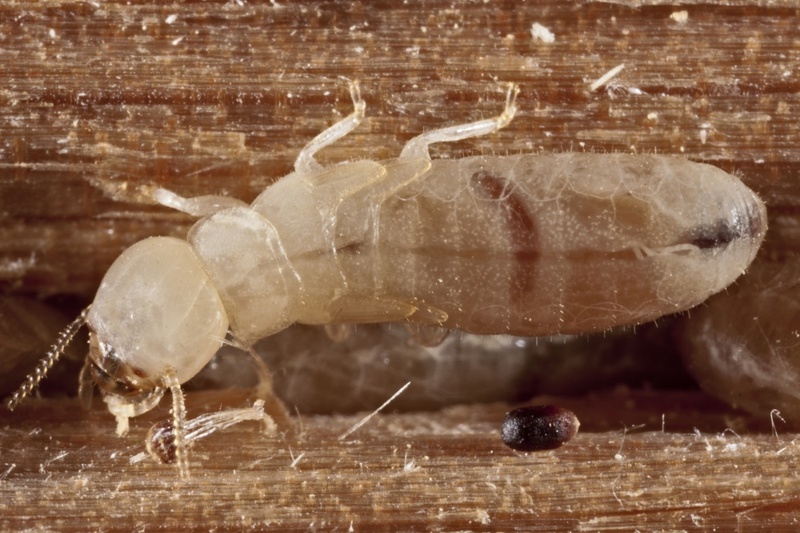 Termite Behavior — they may be in your home already! Formosan subterranean termites infest a wide variety of structures (including boats and high-rise condominiums) and can damage trees. In the United States they are responsible for tremendous damage to property resulting in large treatment and repair costs. Eliminate any wood to ground contact. Portions of your house where wood comes into direct contact with moist dirt is a prime area for termite entry. Look at areas such as porches, or wooden posts placed in the ground. These types of areas attract and feed termites. Hire a licensed professional before your infestation is beyond your capacity to control.